Kumaon, a mountainous region in Uttarakhand, offers a spectacular array of natural scenic beauty topped with the sheer sanctity of the surrounding. The welcoming and rustic forests, snow clad mountain peaks and the fascinating and surreal village life aptly defines the life in this region of Northern India. The magnificent view of soaring white peaks of the majestic Himalayas, silhouetted against the bright blue skies is capable of mesmerising any soul. Another thing that makes this place stand out from the rest is the Kumaon Holi, which is celebrated in a distinctive style here. The musical ecstasy of Kumaoni Holi has three varied forms of celebration, namely the Baithki Holi, the Khari Holi and the Mahila Holi. Among the Kumaoni people, this cultural festival depicts the victory of good over evil as well as the end of the winter season and the beginning of the sowing season, which is a highly important season for the agricultural communities of Northern India. This unique culmination of local traditions of Kumaon and the cultural traditions of Northern India are initiated on Basant Panchami. 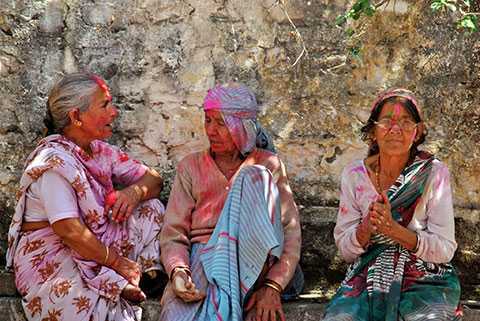 In Kumaon, this traditional celebration of Holi lasts for almost two months. Kumaoni Holi witnesses unique ways of celebration, which are different from the Holi celebrations in the other parts of our country. This type of Kumaoni Holi literally means Holi celebrated by singing while sitting with a close group of friends and family and it begins on the day of Basant Panchami and continues until the last full moon day of the Phalguna month. 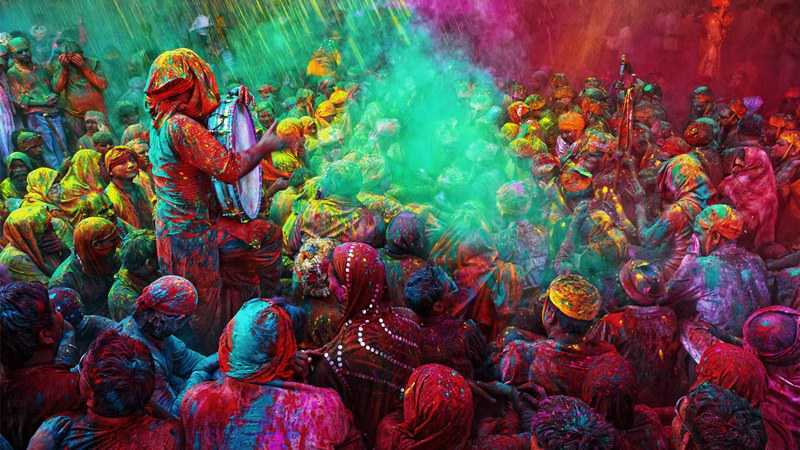 This musical euphoria is also termed as 'Nirvan ki Holi' or 'Holi of Salvation'. The Baithki Holi songs are a unique blend of Hindustani Classical Music and Kumaoni Folk songs. These songs are usually accompanied by instruments like Harmonium and Tabla. These folk songs are sung at community centres and also at the local homes, and are spiritual while narrating the tales from the life of Lord Krishna. One of the most peculiar yet inspiring things about these baithaks is that it is not just limited to the people belonging to Hindu religion, but these musical gatherings are equally enjoyed by the local Muslims and Christians. Being very particular about the timings, Kumaoni people adhere strictly to the timings of their folk songs that are based on various classical ragas. For instance, songs based on ragas like Bhimpalasi, Pilu and Sarang are sung at noon while evenings witness the recitals of ragas like Yaman, Shyamkalyan and Kalyan. 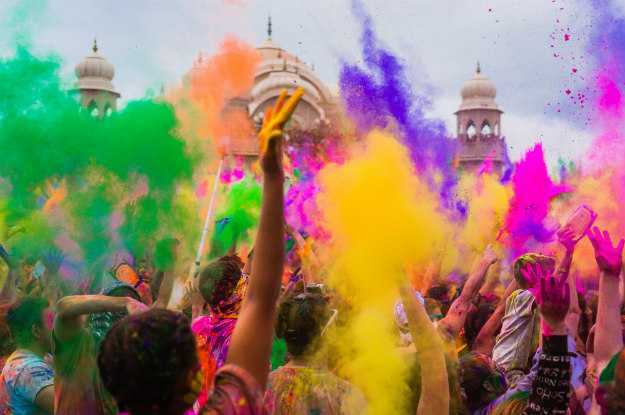 The name of this form of Holi literally means 'Standing Holi', and it usually begins along (or sometimes later) than the Baithki Holi. 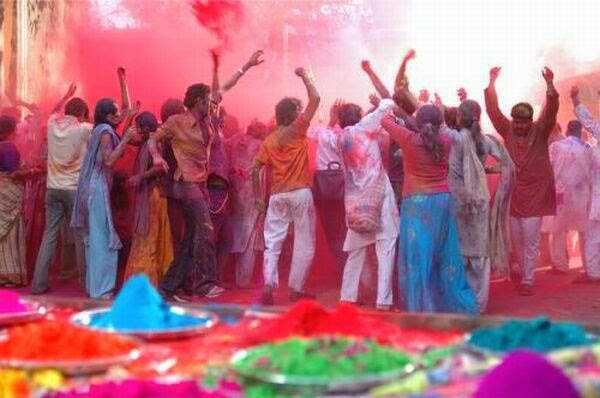 This festival is filled with a lot of excitement and fun, unlike the sedentary and sturdy form of Baithki Holi. 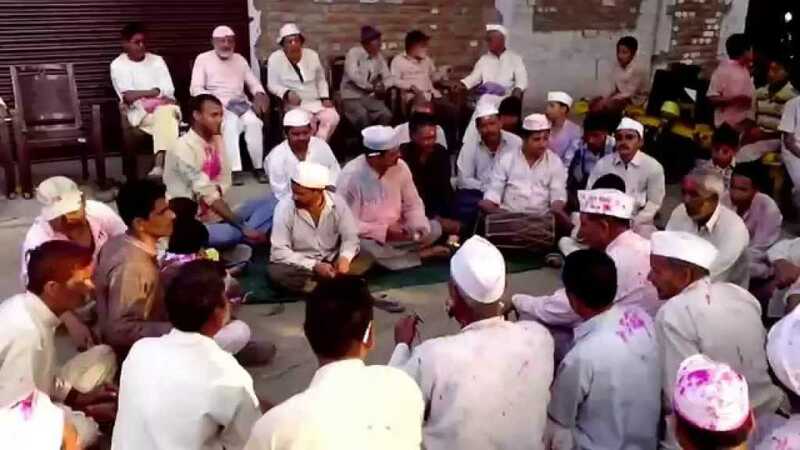 Kumaoni people (especially from the rural parts of Kumaon) sing folk songs adorned in the traditional attires, which consist of white nokdaar topi, churidar pyjama along with kurta. 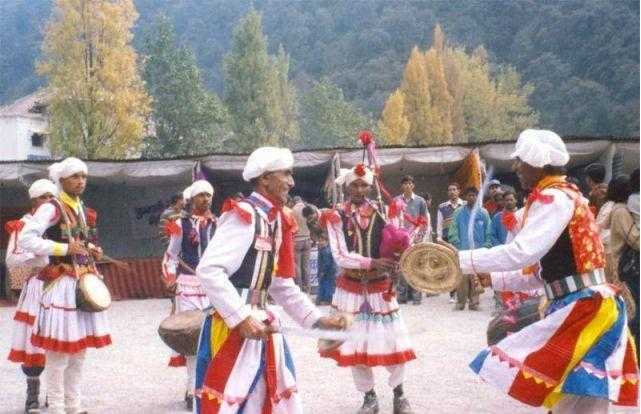 The air is filled with vibrant music, and one can witness the Kumaoni people visiting houses of their loved ones and singing their folk songs, dancing in groups on their music which incorporates ethnic instruments like the Dhol and the Hurka. It is primarily celebrated by men, and the groups of men (known as 'tolis') keep the atmosphere enthusiastic and lively. Commonly sung songs are- 'jhankaro-jhankaro jhankaro' and 'jogi aayo sheher mein vyaapari'. This form of Kumaoni Holi is quite similar to the Baithki form, except the fact that here the gatherings are entirely composed of the Kumaoni women. Songs based on love and spiritual unions are sung by the native women of the region. The example of a commonly sung song during Mahila Holi is- 'Balma ghar aayo phagun mein'. 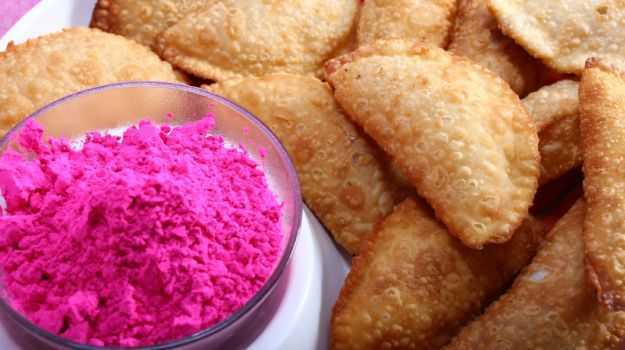 Apart from these musical celebrations, Kumaoni Holi also witnesses a splendid feast consisting of savoury Gujjias loaded with moist khoya and dried fruits, delicious and creamy raita, crispy singal and crispy yellow aaloo gutuk. These lip smacking local delicacies are sure to tantalise your taste buds and leave you wanting for more. One can witness the making of the divine Holika bonfire known as Cheer in Kumaon, fifteen days before Dhulandi. This Cheer is the centre of all the ceremonial festivities and hence is guarded well by the people. 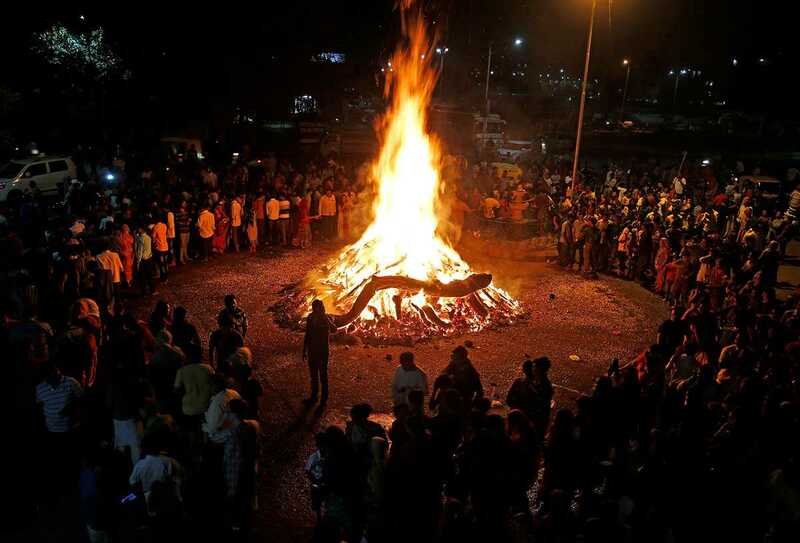 This practice is known as Cheer Bandhan while Cheer Dahan refers to the burning of the bonfire on the night before Holi. This practice symbolises the triumph of pious Prahlad over her evil father. Chharadi refers to the playing of Holi using colours made from flower extracts. It is celebrated with great fervour in all parts of India. The major ingredients are the Abeer and Gulaal. One can see kids squirting colourful waters from their Pichkaris and drenching everyone around in the coloured water. A fun element used in this celebration is a small globe of Lakh that contains red powder and instantly breaks when thrown at someone. It is a traditional item but rarely seen nowadays. Kumaoni people together play this joyous festival and also pray for prosperity while throwing Gulaal in the air. They can be seen chanting some mantras like- 'ho ho ho lakh re'; wishing for the well-being of their elders and loved ones. This practice is referred to as 'Shubh Kamna'. 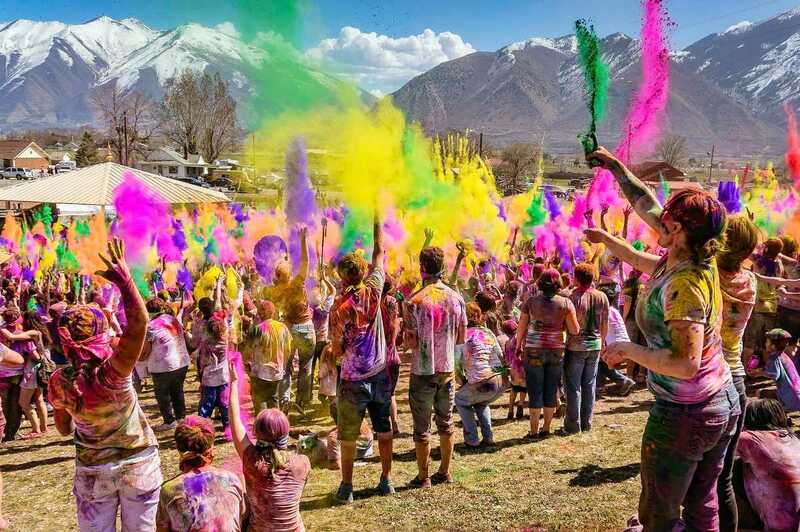 Kumaon showcases this extravagant celebration of Holi every year and attracts thousands of tourists for the same. This experience is surely not worth missing. To bask in the glory of this festival, all you need to do is to visit the Kumaon region in the months of February-March. Just pack your travel stuff and head straight to the vibrant Kumaon!